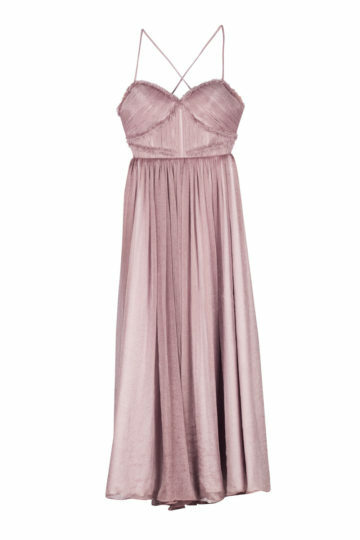 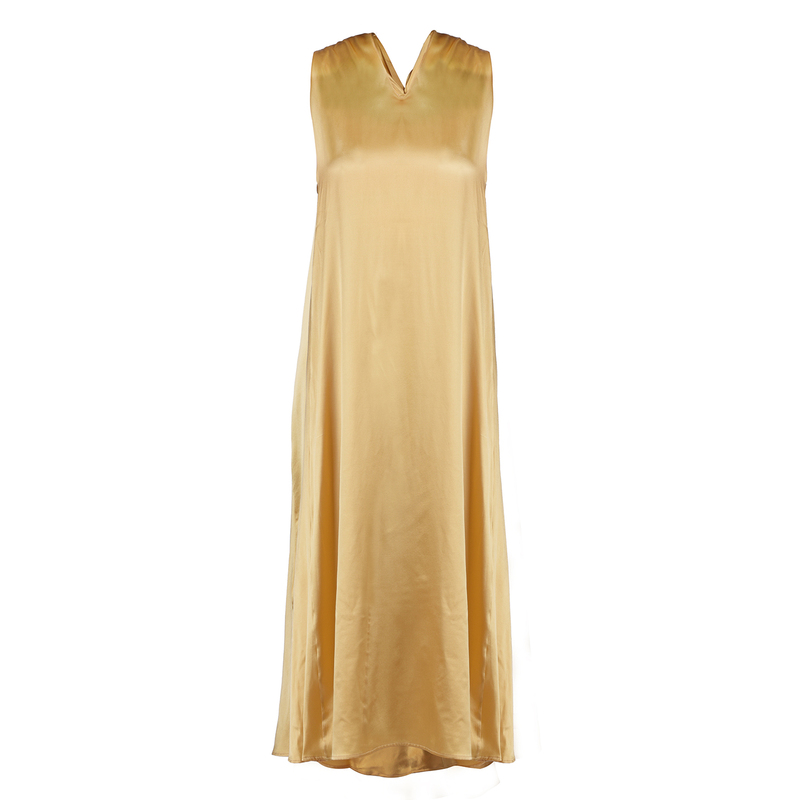 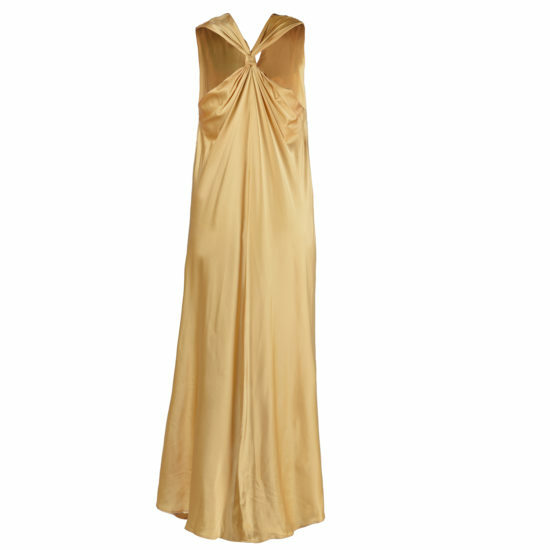 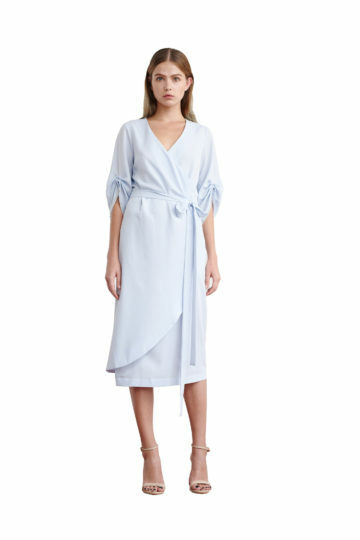 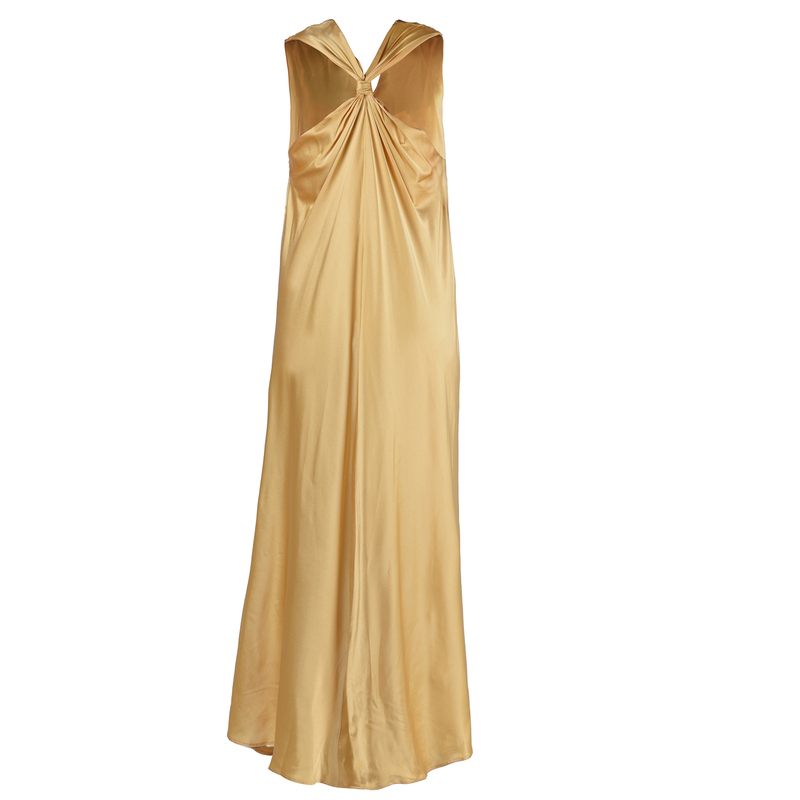 A majestic silk dress that lands beautifully on the body. 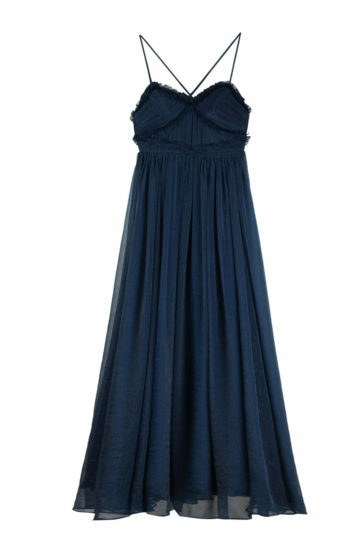 Great for formal occassions. 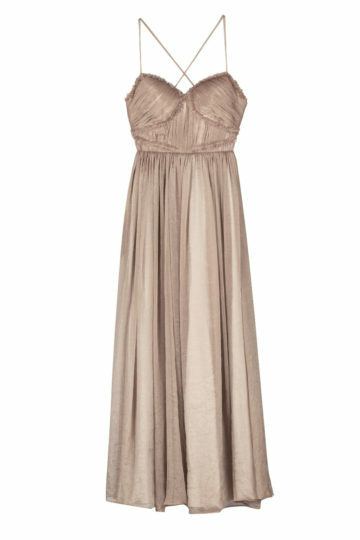 Dress with sandals for a more casual look or go flawless to the wedding with high heels.